“My smile as real as a hyena’s; burns an expressway to my skull” – Nicky Wire. I’ve been busting to get this particular post written up and posted so here it is. It was only last week that I made the trip to Harar in Eastern Ethiopia with the intention of Hyena Feeding!! Yes here in this charming town (Harar is also a World Heritage Site) in the eastern highlands of Ethiopia you can partake in some hyena feeding. I was very much up for it and couldn’t wait for the moment to arrive. 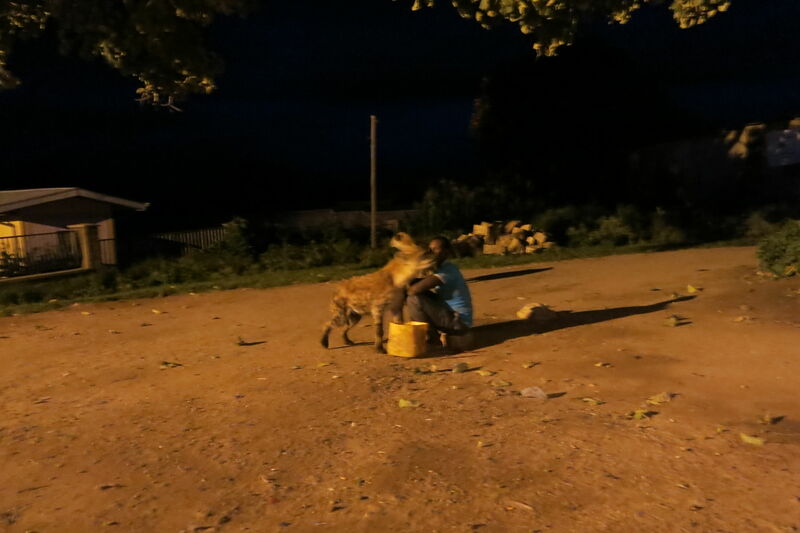 Here’s an overview of what it’s all about…hyena feeding in Harar. A Hyena turns up ready for feeding in Harar, Ethiopia. 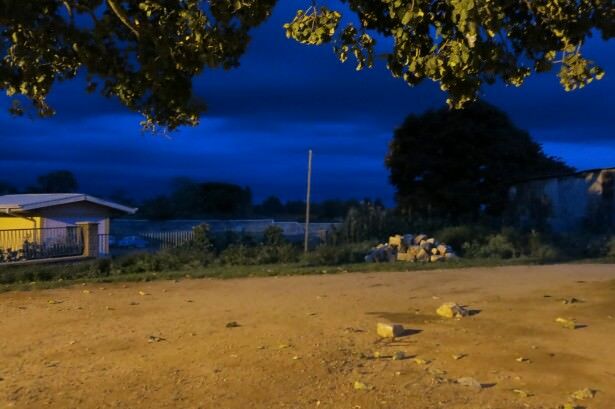 To do the hyena feeding you’ll need to be in Harar, and as the feeding occurs at dusk (7pm ish – changes depending on the seasons), you’ll need to spend at least a night in the town of Harar. You have to be keen if you want to get there – it’s a long, scary and gruelling bus journey in a crampt and overcrowded mini-bus trust me! 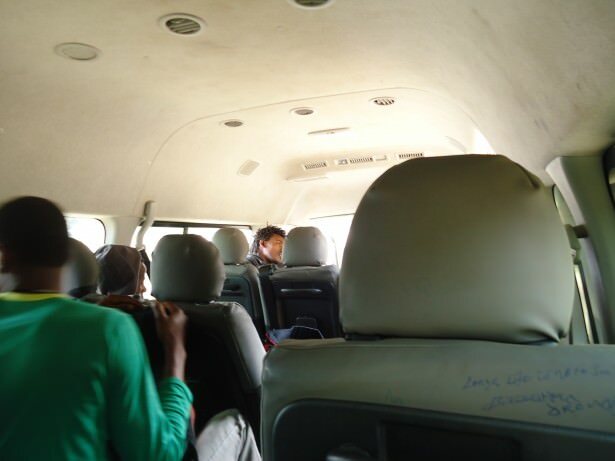 The nightmare overloaded mini-bus that goes from Addis Ababa to Harar in Ethiopia. 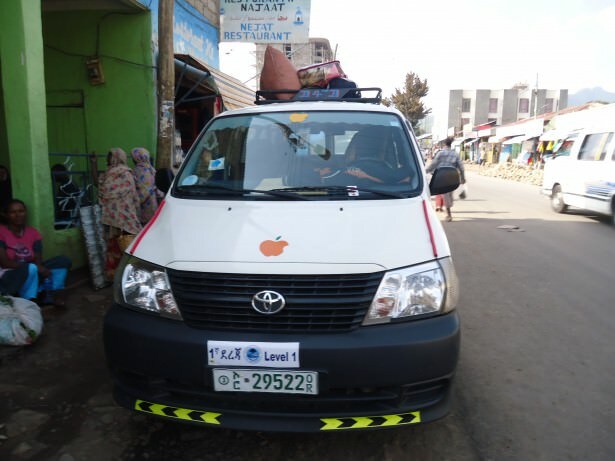 From the capital city, minibuses run from Addis Ababa directly to Harar, but also to Dire Dawa with a connection to Harar. To organise the mini-bus your best bet is actually just talk to locals in the streets and in your hostel and they’ll sort you out. It really is that simple. I booked my mini-bus around 1pm in Addis Ababa and got on my minibus at 8.30pm. 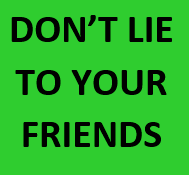 The minibus journeys can be long, gruelling and dangerous so be prepared for that. It will be worth it when you rock into Harar. 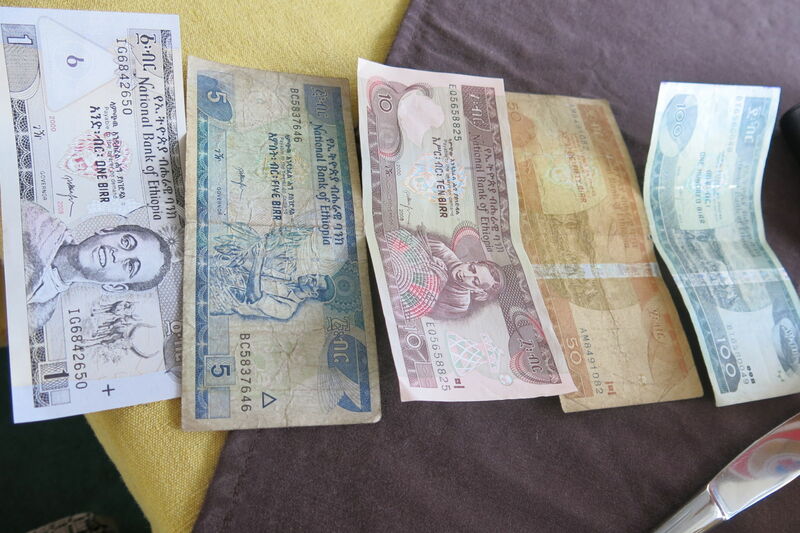 My mini-bus took 15 hours in the end (a story for another post) and cost 300 Birr (which is about 16-17 $US Dollars). The view from my second crazy mini-bus when the madness calmed down. These buses were crazy on route to Harar for hyena feeding! When and where does the Hyena Feeding in Harar take place? There are now two places in Harar that offer nightly hyena feeding and you can choose either. You don’t have to book anything in advance, you just turn up. In terms of finding it – that really won’t be an issue. Honestly when you’re in Harar just get talking to the locals (more likely they’ll talk to you first!) and ask them where it is. You may have to give them a small fee to thank them, and don’t hesitate to do that if they genuinely help you – this town is still third world and they can do with the money from tourists. 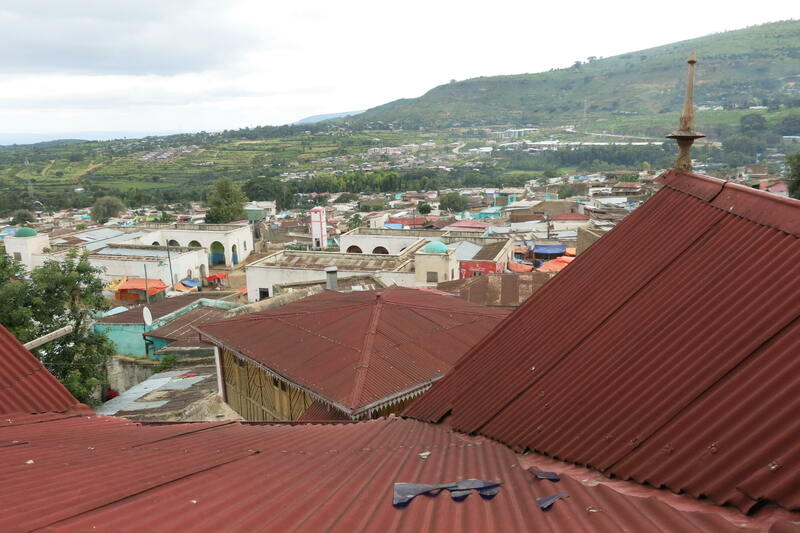 The view over the old city of Harar – a great spot by day and the hyenas come out at night! 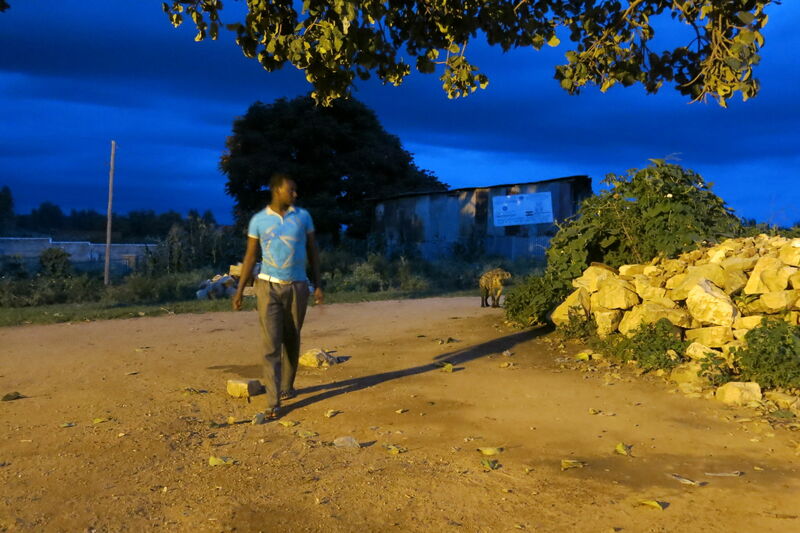 To get to the hyena feeding in Harar, you can just walk. It’s a 5-10 minute walk out of the city. I don’t have street names or directions – you won’t need that at all. You’ll find it believe me. You can also get a tuk tuk (local blue and white three wheelers) out there but why pay for one when it’s only a short walk. In terms of time, it’s every night at dusk. This means it changes depending on the seasons. I went around 6.45pm just before it got dark. We walked down this lane away from the city and its walls to a tree, this is where the hyena feeding would happen. How much does Hyena Feeding in Harar cost? For me, and the other three guys that did it, it was 100 Birr each. That’s somewhere between $5 and $6 US Dollars. That’s totally worth it, believe me. In fact I’d say it’s a bargain as this is a special travel memory. It costs 100 Birr to feed the hyenas. A bargain by all accounts! What exactly do you mean by Hyena Feeding in Harar? Well the story goes that at dusk/nightfall wild hyenas roamed the streets of Harar scavenging and looking for food. The locals decided to befriend them and try to tame them over the years and it’s worked. The hyenas now turn up at dusk and are ready for a live show which they are the stars of. The hyenas, in their innocent lives, are unaware of how popular or cool their activity has become. 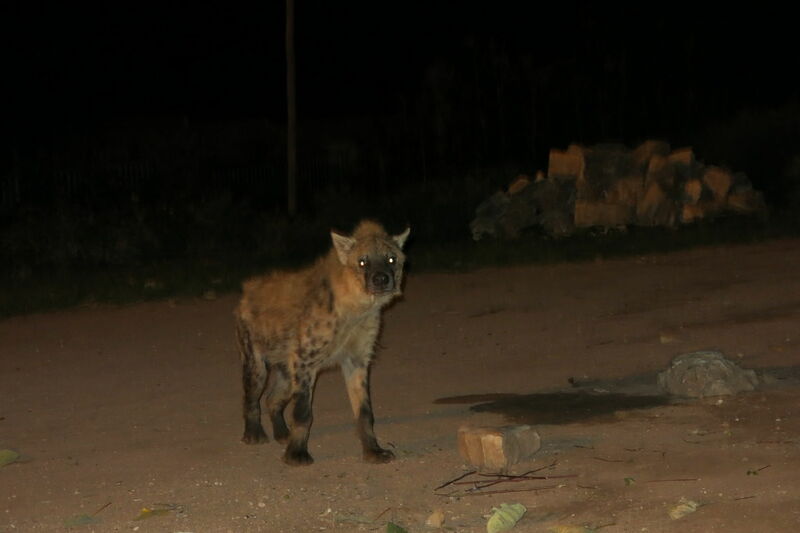 So after years of nightly hyena feeding by the local “hyena men”, Harar’s people realised the potential of this odd occurrence and as such turned it into a kind of tourist pull. A way for the locals to make money, the hyenas to get fed and the backpackers to get up close and personal to hyenas. Everyone’s a winner here. Dusk arrives on the edge of Harar and it’s hyena feeding time!! An overview of what happens at the Hyena Feeding in Harar? 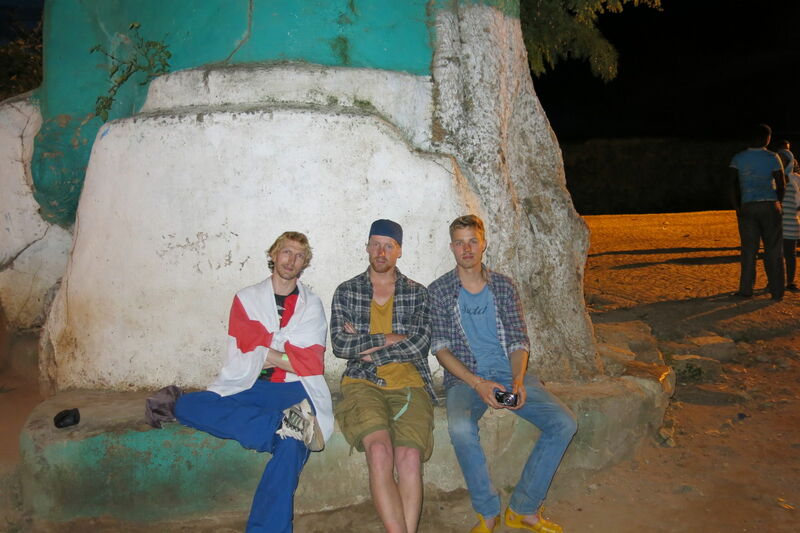 Myself and two buddies I met in Harar (Dutch guys Feder and Peter) walked down out of the city past the walls along this descending lane. At the end there is an ominous tree. It is here, in recent darkness that you will do the hyena feeding. 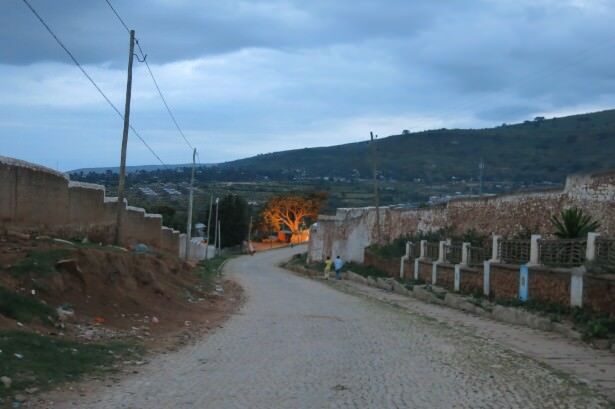 The ominous lonely tree on the edge of Harar where the Hyena feeding takes place! 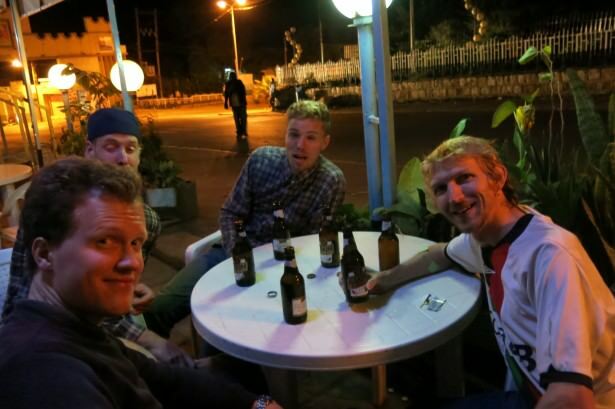 We got there at 6.45pm and paid the hyena man 100 Birr. He shakes your hand and introduces himself, then you sit down by “the tree”. Within minutes he is whistling out and calling hyenas to appear from nowhere. And they do. They are quick off the mark. One hyena comes and stands a mere 4-5 metres from us. The hyena knows the score. It’s going to get fed raw meat by the humans that are here! A hyena waits – it knows what’s coming. The hyenas are used to it as part of a daily routine now! It’s quite cool in fact! The hyena man goes first so you can see how it’s done. He holds a bit of meat on a stick. The hyena comes up, hungry and eager. It bites it, devours it and walks back a few metres. You’ll be buzzing and you won’t feel scared. I was loving it and couldn’t wait to get face to face with one of these beasts! The “Hyena Man” gets ready for the feeding. The build up is quite crazy and surreal! Then the hyena man bites a piece of wood and holds it in his mouth. Meat is put on the other end of it. Again the hyena rocks up, snatches it with its jaw and walks back. There were about 3 hyenas there at this point, taking it in turns to take the meat. By this stage there were 4 of us, a Canadian guy called Phil had turned up, and as he arrived last he sort of became the one to go up first! We made videos and took photos of him and it was great fun to watch. After Feder had his go, I was third up and so excited. With Peter and Feder the 2 Dutch guys ready for the hyena feeding in Harar, Ethiopia! 1. Mouth to Mouth – Hold a piece of wood in your mouth, gripping it with your teeth. Put meat on the other end. The hyena comes up, takes it, eats it and walks back. 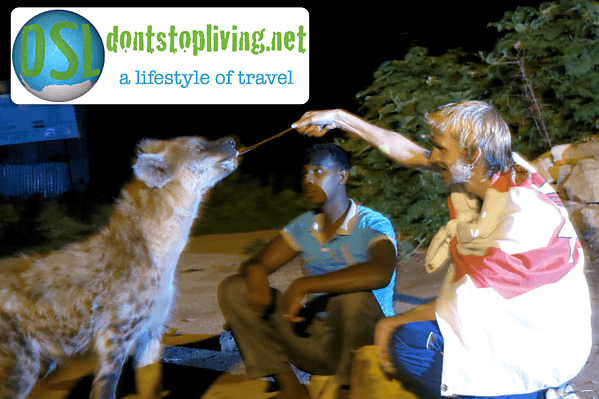 Mouth to Mouth – Feeding Hyenas in Harar Ethiopia – Jonny Blair of Don’t Stop Living. 2. Hand to Mouth – Hold a piece of wood in your hand. Put meat on the other end. The hyena comes up, takes it, eats it and walks back. Hand to mouth – Teasing the hyena with my hand – it jumps up to grab the meat. 3. On Your Back – Crouch down and the trainer holds a bit of meat above your head near your ear. The only way for a hyena to reach it, is for it to jump on your back and bite it there and then. So be ready – these are heavy beasts!! The hyena will jump on your back, in my case he walked up my back digging his paws in and devouring the food. It’s hard to stand still and stay calm when you think about what’s actually happening! This for me was the craziest moment. He jumped right on my back onto my Northern Ireland flag I had draped round me. Then he bit the food right by my ear! It was amazing! Of the three, the mouth to mouth bit is probably the scariest. For a split second I stared into the hyenas eyes, which was a scary moment. While the hyena jumping on your back is just crazy! The feeding a hyena by hand is the calmest and easiest part. We’ve all done that before with dogs, kangaroos etc. But the whole experience is just memorable!! I will never forget Harar or the hyena experience!! The hyenas jumps on me in Harar in Ethiopia! Is it dangerous to do hyena feeding in Harar? Yes, of course. Like a lot of things we do on our travels, it has risks. You don’t sign any documents, there are no tourist tickets issued. 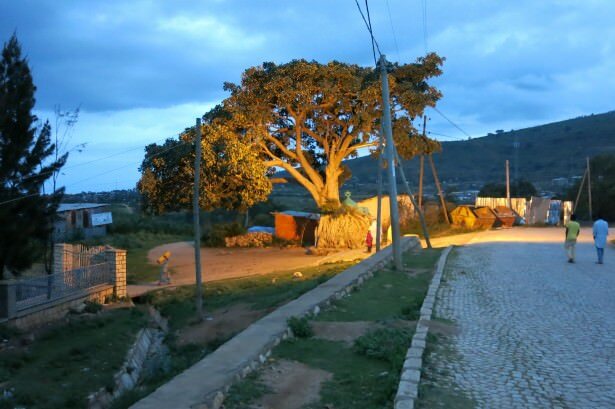 It just happens by “the tree” on the backstreets on the edge of Harar. There is no real health and safety in place. But if you’re up for it, DO IT. I highly recommend it. Hyenas have a bigger bite and jaw than lions and cheetahs, incredibly. But they are not hunters or predators – their peronsality is to be more shy and timid. For this reason, they devour any dead meat they see, and they scavenge the streets for any food they can find. They go for the easy stuff – dead animals, rubbish bins and meat that just happens to be lying there. So this means you shouldn’t really have any fear. They are not after you and they won’t eat you. They only want the meat that you are displaying in front of them. Be calm and careful and don’t react or shout at them of course. Just enjoy it and feed them. You’ll actually find they’re quite adorable despite their massive bite. When one jumps on your back you will never forget that moment. The “hyena man” in action in Harar, Ethiopia. 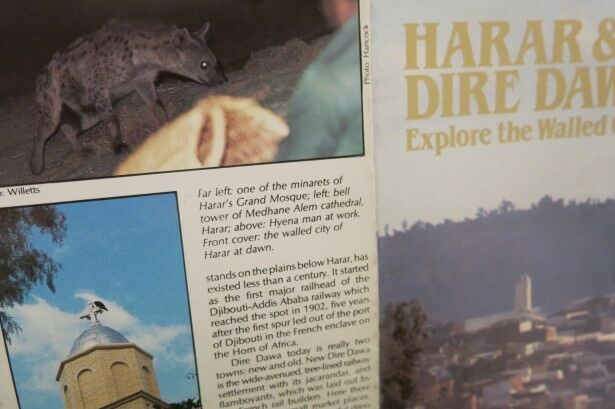 Is hyena feeding in Harar very touristy? I’m really really glad to say that it’s not. There’s no “tour agent”, there’s no entrance ticket issued, there’s no briefing, there’s no souvenir shop (better not tempt them), there’s not even a sign by the tree advertising it. And that’s the way it should remain. It’s popular but only a few people every night do it – I only spent one night in Harar and that’s enough time to see the city and feed the hyenas. I seriously hope the hyena feeding in Harar remains untouristy but stays popular. It appears in a lot of the tourist brochures you pick up when you are in Ethiopia but that’s about it! Thankfully the hyena feeding in Harar isn’t that touristy. There’s no entrance, no tickets, no souvenirs etc. But it does appear in the tourist brochures. Can you take photos and videos of the hyena feeding in Harar? Of course!! That’s part of the fun. As you can see from the photos on this post, it’s a memory that will last a long time. I made a few videos too, all posted below. You can ask the guides to take your photos or your fellow travel buddies – and you’ll meet a few white people in Harar. It’s easy to spot a tourist here. Also – if you’re scared you don’t need to do it – you can just go there and watch it from a distance – no problem. If you do this, it’s honourable to give an amount of money (at your discretion) to the “hyena man”, as he’s working for you and putting on a show. I’d say 50 Birr for a non-partaker is a fair sum (just under $3 US Dollars), but if you want to go lower then that’s up to you. It’s not like there are tens of tourists all hanging around taking photos of it. There will be a small group of people there only. Of course photos are allowed – you want some of this event for your memory! Another photo of me doing the mouth to mouth feeding. 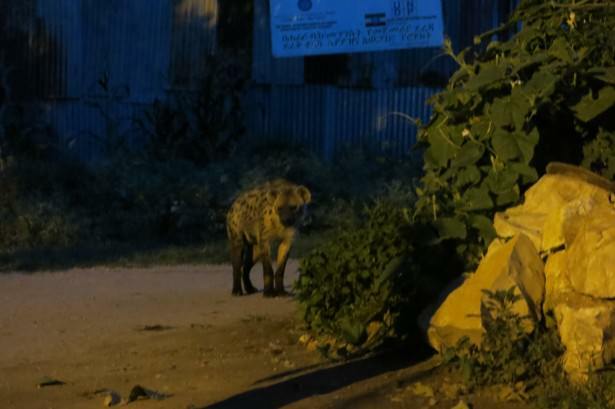 Is hyena feeding on every night in Harar? 1. Weather – a severe rainstorm or thunderstorm would surely make the experience less enjoyable and your camera will get soaked – there’s no covers here – you’re out in the open. If it does rain heavily when you’re there you might need to schedule yourself to do it the following night. It was hot and a clear sky when I was in Harar so no worries. 2. Religious Festivals – there’s a chance that during Muslim Festivals the hyena feeding may not be on. I was actually there just after Ramadan and it was fine. 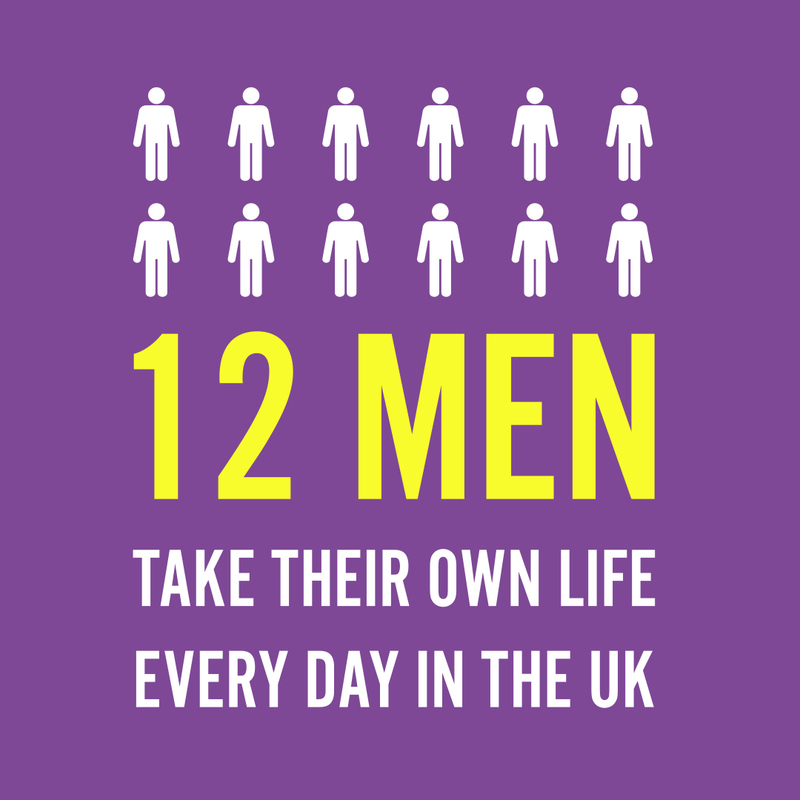 But do be aware of this and plan ahead! 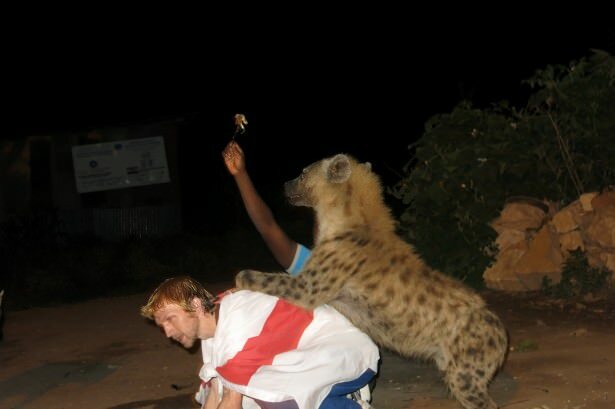 I’d say guys and girls, this is pretty much ALL you need to know about the hyena feeding in Harar. Leave me some comments below if you like it and want to ask me anything! 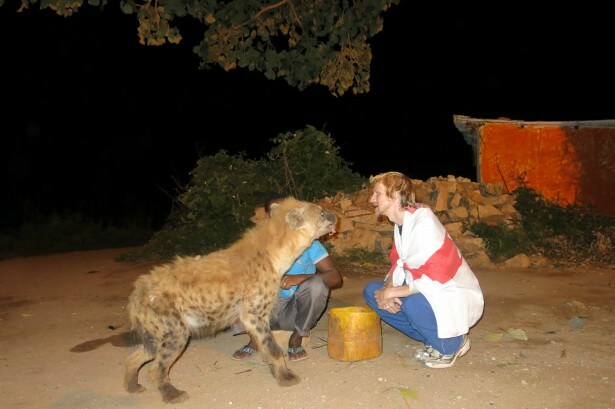 Honestly if you end up in Harar in Eastern Ethiopia, do the hyena feeding!!! It’s an amazing experience! – Hyenas live in social groups but they are structured very differently to lion prides. A clan can have as many as 50 members, always headed by a female. – Their infamous ‘laughter’ is actually a sign of aggression, fear or excitement. – Hyenas eat almost an ENTIRE animal. (if they take a gazelle, they leave only the horns). – Hyenas have hugely powerful jaws which can easily crack open almost every large bone they find releasing the nutritious marrow. – The acidic fluids in a hyenas stomach can digest meat, skin, hair, bone and teeth. The BBC gives a great overview on hyenas here. After the hyena feeding we headed together for some food and then some celebratory beers. It had been one crazy night! A photo with my hyena feeding buddies!! Having a beer on a crazy night with my hyena feeding buddies Phil, Peter and Feder! 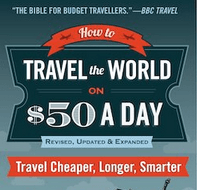 What to bring with you – A charged camera, some insect repellent (I’m prone to bites) and the money. You don’t need anything else, not even a torch. This entry was posted in Africa, Animals, Destinations, Destinations, Ethiopia, Harar, Hyenas. Bookmark the permalink. Looks like a very interesting once in a lifetime experience. I don’t know if I have the guts to do that though, hyenas are kinda scary! It’s amazing how calm you look with that beast on your back hahaha! You need some courage to feed those hyenas by hand or to watch this from close distance, these are ferocious predators which can remove a man’s hand in just a few seconds so I bet you lived some intense sensations doing this. I want to go there sometime this year at least to watch these awesome predators closely.